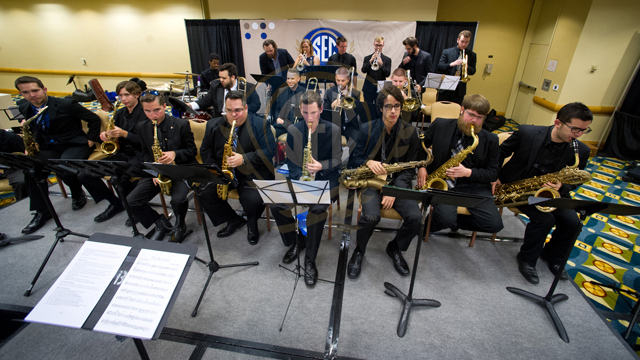 A jazz ensemble comprised of SEC students performs during the SEC Presidents, Chancellors and Provosts Reception at the 2015 SEC Symposium. 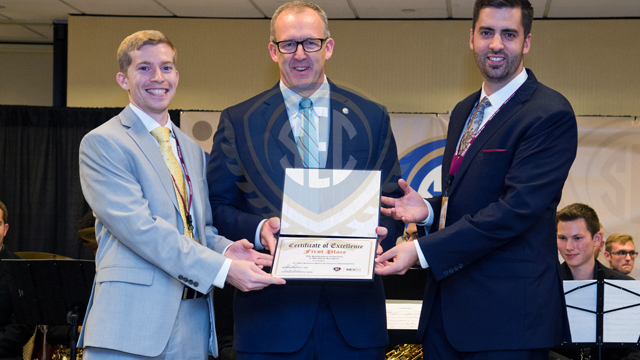 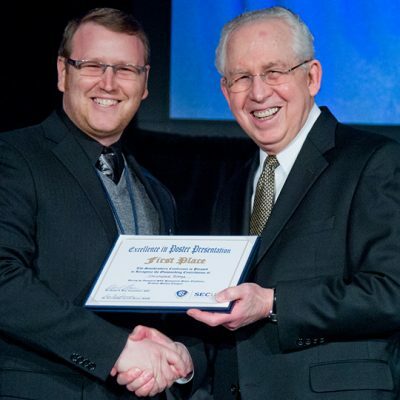 SEC Commissioner Greg Sankey (middle) presents Brandon Sweeney (left) and Blake Teipel (right) from Texas A&M University with the first place award in the student entrepreneurial pitch competition. 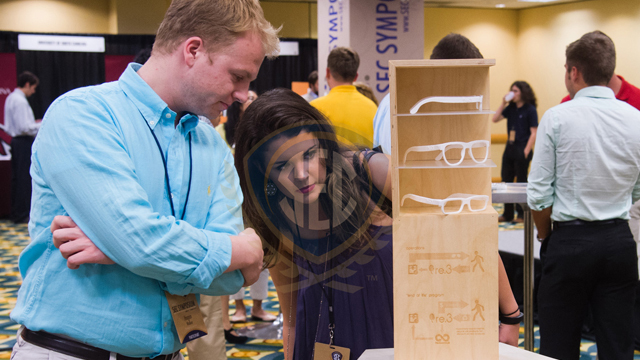 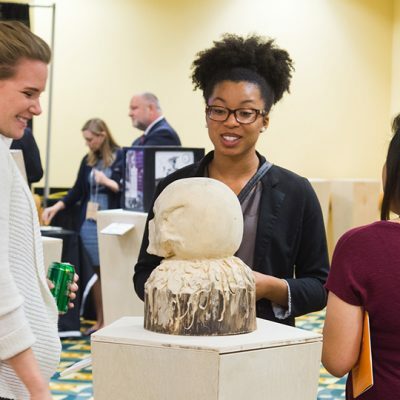 Student attendees consider an eco-friendly sunglasses concept during the student art exhibition at the 2015 SEC Symposium. 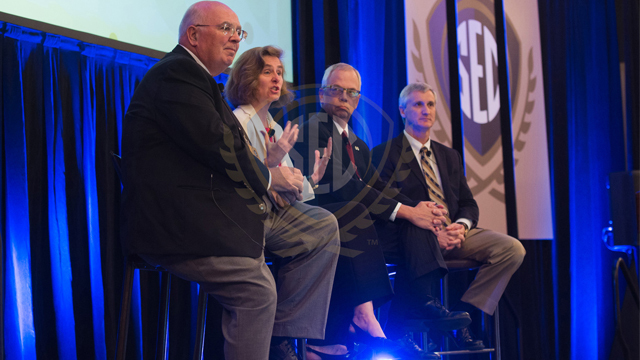 (From left) Dr. Tim Boosinger (Auburn University), Dr. Pamela Whitten (University of Georgia), Dr. Jerry Gilbert (Mississippi State University) and Dr. Rick Koubek (Louisiana State University) participate in the SEC Provosts Panel at the 2015 SEC Symposium. 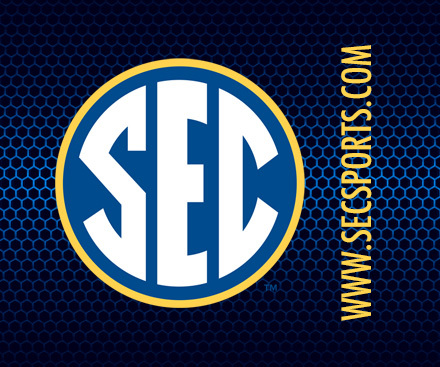 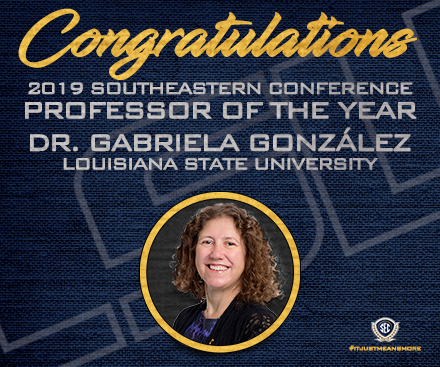 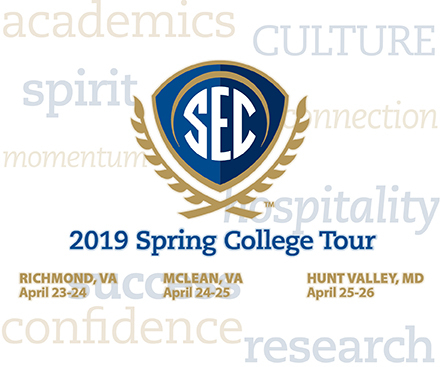 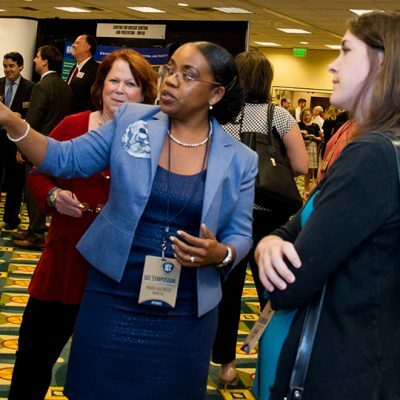 The primary goal of this academic conference-type event is to address a significant scholarly issue utilizing the range of disciplinary strengths of all SEC universities in a manner that expands opportunities for collaboration among SEC faculty and administrators. 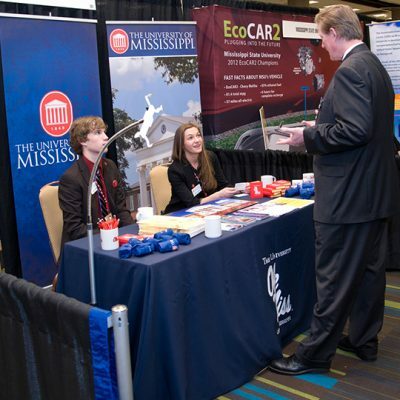 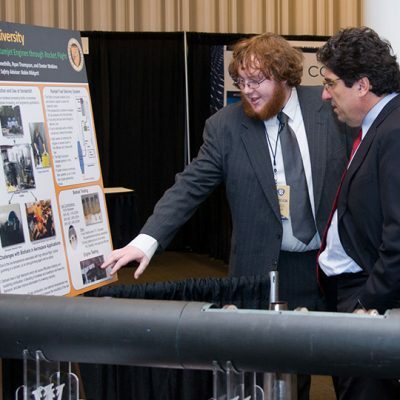 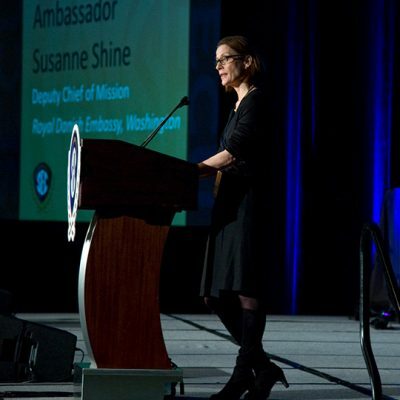 Other objectives include annually drawing national attention and participation to the Southeast region. 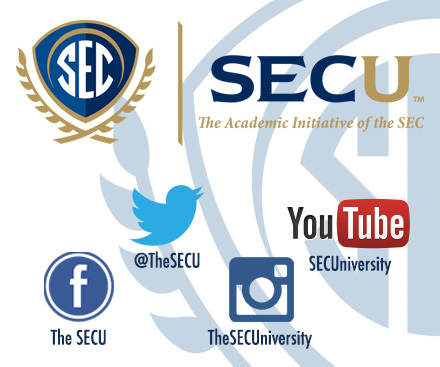 This event is also intended to display the research and innovation of SEC institutions for an audience of academicians, government officials and other stakeholders.